India Yamaha Motor (IYM) Pvt. Ltd. Today announced the receipt of prestigious India Design Mark (I Mark) by the Indian Design Council. The acknowledgement is awarded to Yamaha’s powerful, mid-class, street fighter motorcycle FZ 25 for its engineering and design. Since 2012, Yamaha’s design philosophy has received the true testimony for its entire range of products like YZF-R15 (2012), Cygnus Ray (2013), Cygnus Ray Z (2014), Cygnus Alpha and FZ (2015), Yamaha Fascino & Saluto 125 (2016), Cygnus Ray ZR and YZF R3 (2017) followed by FZ 25 winning the certification this year. India Design Council is an autonomous body of Government of India established under the aegis of Department of Industrial Policy & Promotion, Ministry of Commerce & Industry. It is a national strategic body for multi-disciplinary design and is involved in promotion of design to ultimately make India a design enabled country. The India Design Council is spearheading the national design direction and is working with other government agencies, the design community, industry and education institutions to promote design in business, society and public services and developing design excellence. 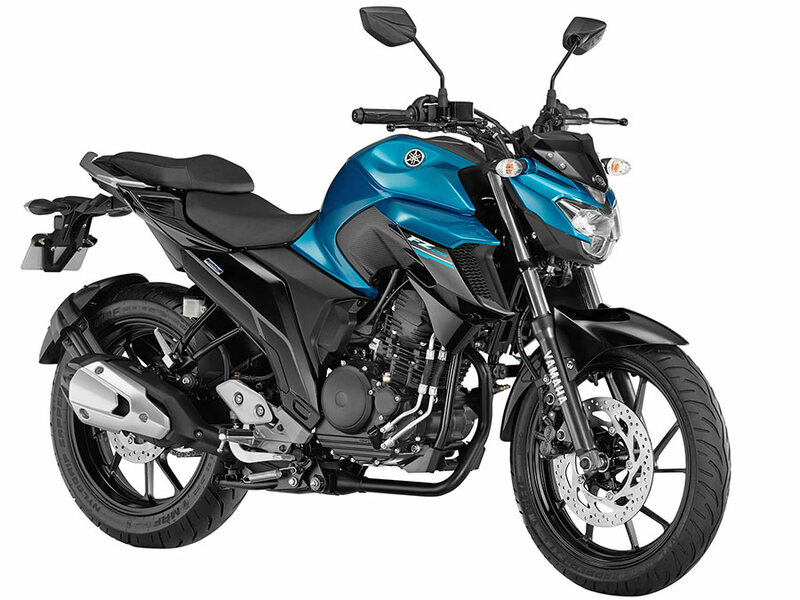 In 2008, Yamaha had introduced FZ series in India which has got an overwhelming response from Indian customers. By 2017, while over 1 million proud owners of FZ series were waiting for up gradation, the all new FZ 25 was launched to strengthen & expand FZ brand in India. With a newly designed air-cooled, 249 cc, high torque, fuel-injected engine on a lightweight frame enabling the joy of control as the rider intends, FZ 25 came to existence in India as a “Powerful, mid-class, street fighter“. Not only is it an affordable offering in the higher displacement, premium 250 cc segment with the macho styling inherent to the FZ brand, it also adds further emphasis on the aesthetics due to its design. The FZ 25 is a light weight machine weighing 148 kg combined with its class-leading torque delivery and powerful exhaust note that comes with a twist of the wrist. The excellent fuel efficiency from the Blue Core engine means fewer stops for petrol and more time spent in the saddle, giving its owner the best of both worlds with less stress on their wallet. It has the ride comfort and power on tap to make it an excellent tool in the city, while it also has the handling and speed to make it an enjoyable weekend ride for touring trips with friends. The bike’s standout, muscular, and modern street presence combined with this stimulating riding experience not only charms the rider, but serve as a form of visual and aural self-expression that turns heads as the FZ 25 goes by. Yamaha is excited to be honoured by industry’s one of the most coveted recognitions, ‘India Design Mark’. The brand always strives to bring the most innovative and stylish products to its consumers and this certification have further induced Yamaha’s zeal to cater to its patrons with exciting products that revs heart for its excellence in design, style and comfort. India Design Mark symbolizes product excellence in form, function, quality, safety, sustainability and innovation and communicates that the product is usable, durable, aesthetically appealing & socially responsible. India Design Mark is granted to an applicant after following a diligent evaluation process aimed at identifying good design that exceeds the prescribed criteria of evaluation.